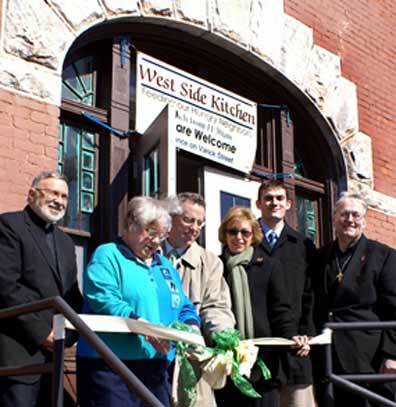 UTICA, NY, Dec. 22, 2016  New Vision Pioneers/Leatherstocking Club and CWA Local 1126 have dontated $1,900 to Mother Marianne’s West Side Kitchen. The money was raised during their Golf Open at Hidden Valley Golf course. 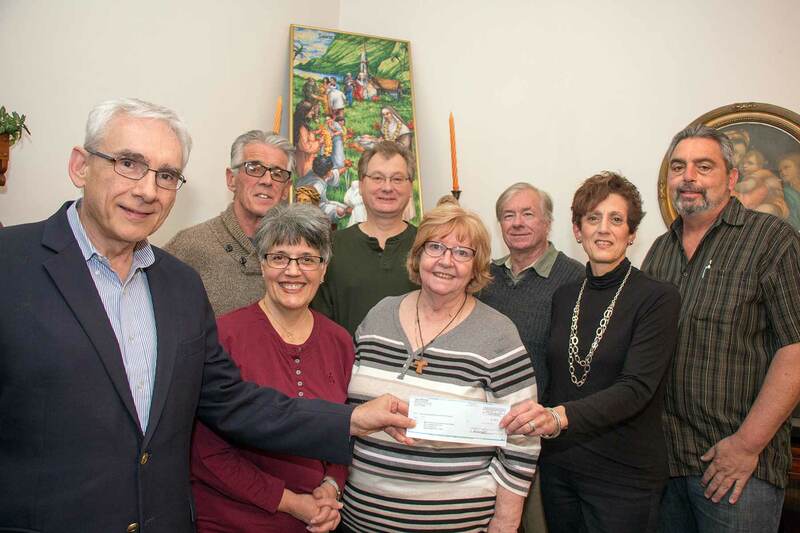 Jacquelyn R. Schmidt, representing New Vision Pioneers/Leatherstocking Club, presented the check to the soup kitchen advisory board. Pictured in the front row, from left, are Advisory Board Chairman Robert Stronach; Joanne Lockwood, secretary; Katie Koscinski, volunteer coordinator; Jacquelyn R. Schmidt, and Ed Morgan, vice chairman. Back row, from left, are John Sullivan, board member; Joe Antonik, treasurer, and John McCabe, board member.